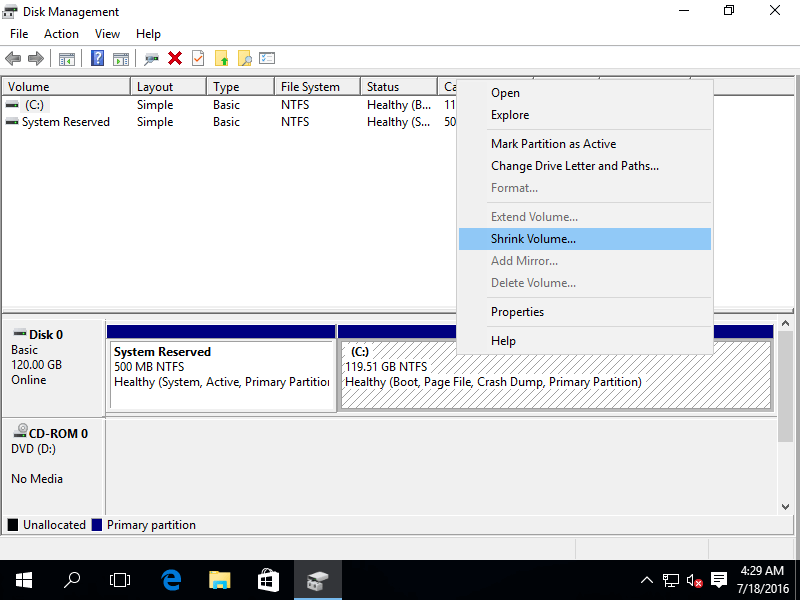 In Disk Management, locate the block which represents the volume you want to unmount. The blocks are labeled with volume information, including the drive letter. The blocks are labeled with volume information, including the drive letter.